Bistro Table with Mosaic Top - 28x24? CLOSEOUTS. 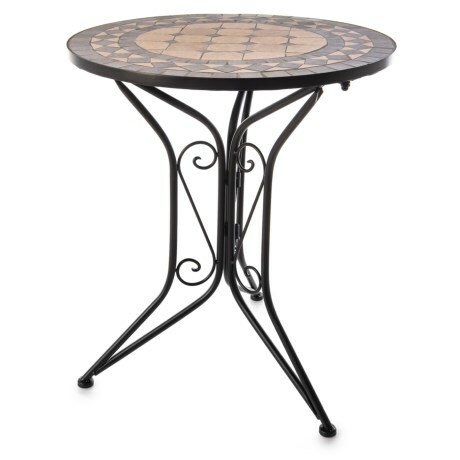 Crafted in sturdy, rustic metal and charming mosaic inlay, this Three Hands Bistro table adds a vintage vibe to any room in your home. Available Colors: BROWN MULTI.